A press release this week detailed the impact of the school's Introduction to GIS MOOC offered this past May. A few weeks ago I noted Hexagon's "I am Hexagon" features profiling its employees. This week HERE has started a similar effort called "We Are HERE." Before HERE technology happens — people happen. It may seem like magic, but there are a lot of people behind the scenes bringing things to life. How do they do it? This blog series will provide answers as we interview HERE employees and pull back the curtain. First up is an interview with Mahmoud Abid, a Sr. Dev Ops Engineer, based at the HERE office in Schwalbach, Germany. Via: Glenn Letham (@gletham). Courtheyn decided that instead of telling the community's stories in the form of a traditional ethnographic study, he would present his findings in the form of a performance. Parents of two Minnesota autistic boys, who are known to wander, wanted them to wear GPS tracking devices to their respective schools. The schools initially said, no, but eventually came around. The schools argued that GPS devices threatened the confidentiality of other students, but after a month of dialogue, the parents and schools reached an understanding. the tendency for companies to do a subscription based model is too modern for most of higher ed and is inaccessible. We hit a lot of trees. Penn State's GIS Day events run nearly every day of Geography Awareness Week. There's a workshop on Getting to Know PolicyMap, SimplyMap, and SocialExplorer, a MapTime meeting, lightning talks and a special guest from Esri. Events are co-sponsored by the University Libraries and the Department of Geography. 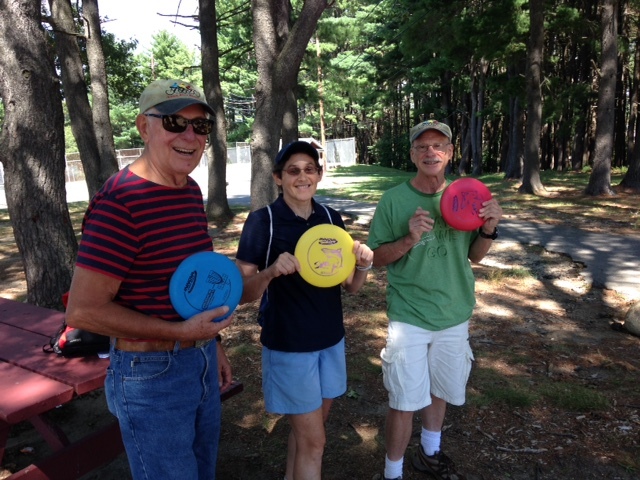 The University of Redlands is hosting a disc golf tournament during GeoWeek. I'm jealous since I just started playing the sport this summer. 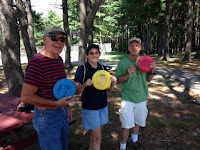 The connection between geography and disc golf? I'm not sure! Those involved in digital humanities might be interested in this hour long podcast from WXXI (Rochester, NY). It features Caroline Winterer, director, Stanford University Humanities Center who is mapping Benjamin Franklin's worldwide social network via 20,000 letters sent and received in his lifetime. The podcast also covers a University of Rochester River Campus Libraries project, where the team is using GIS to map the social networks of William Henry Seward and his family. US News and World Report offers a map. 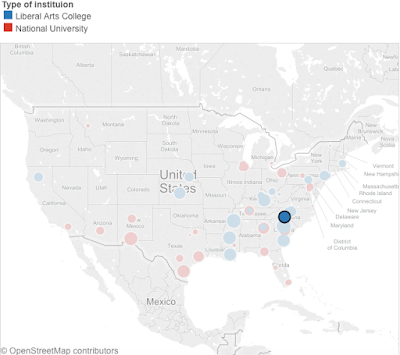 The map below features the National Universities and National Liberal Arts Colleges that gave Pell Grants to at least 50 percent of their undergraduates in 2013. 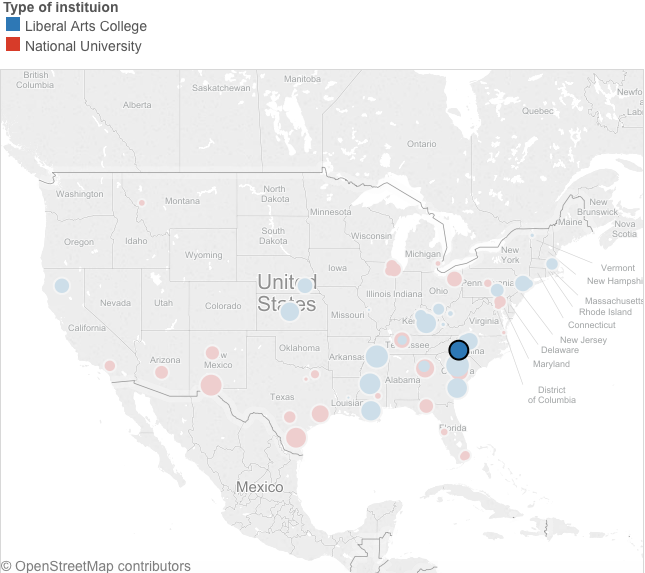 U.S. News has a separate list that lays out economic diversity at the top 25 ranked institutions in the National Universities, National Liberal Arts Colleges and Regional Colleges and Regional Universities ​categories. Pell Grant percentages were calculated using 2013-2014 data on the number of Pell Grant recipients at each school collected by the U.S. Department of Education and given to U.S. News, along with fall 2013 total undergraduate enrollment collected from the colleges themselves by U.S. News. The series of videos, 13 weeks worth, is free. That's not really what the slide deck is about, but that's the title. The presentation at Texas GIS Forum in Austin last week is about the history and future of the GeoAcademy. One of the last slides reveals the team is working with publishers to "semi-commercialize" the courses to broaden reach and fund new content. Is your university concerned with Single Sign On (SSO) issues? Would you like to have better support for these options on the ArcGIS platform? Esri's ArcUser offers an article about not infringing on copyright when creating a story map. I wish the article provided examples of how to attribute content under CC within the limited story map templates. I continue to find story maps that do not even include the creator's name or data source information! I wrote about re-using Web content some years ago. It continues to be a very popular post on my blog. Camelia-Maria Kantor of Claflin University details how she's integrated Community Analyst into a number of elective geography classes in an article in ArcUser. Students consider which factors to use to determine where they might want to look for work after graduation. She provides an outline for the exercise that educators reading this might want to emulate in their courses. Who is Tom Smedley? His Twitter bio states: "Army Acct. Mgr for Esri."